Man, we feel like we just went to the All-star edition, but Sneaker Summit rolled right back around and was hosted at the Reliant Center. 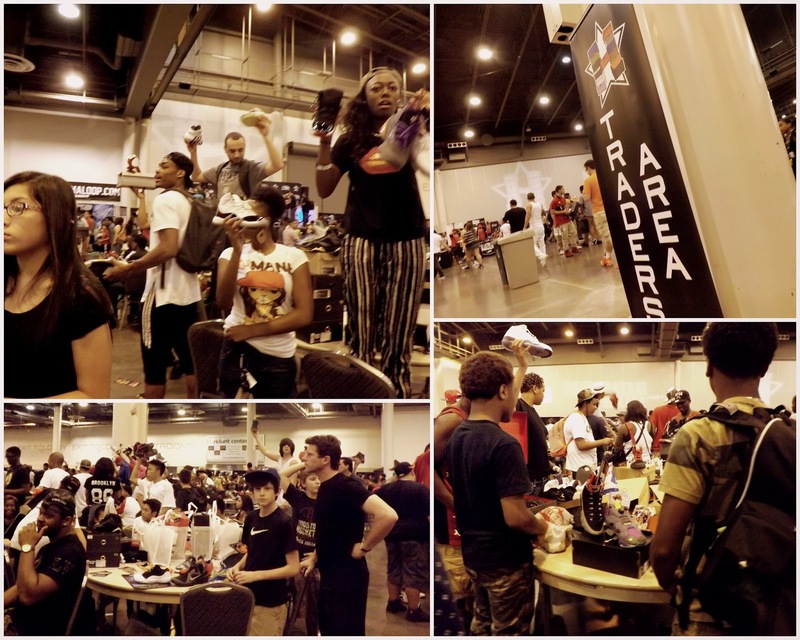 The biggest sneaker expo of the summer happened right here in Houston and we were there to cover it! Lots of energy, rare kicks, and dance battles? Yea, it all happened. 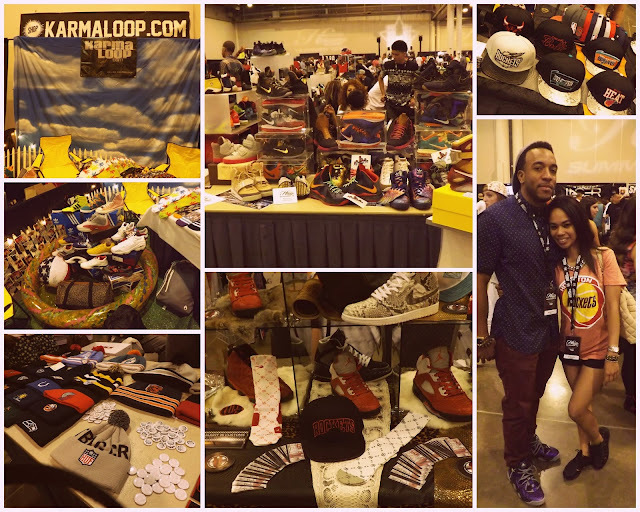 Doors opened at 3pm, DJs spun music at opposite ends of the Reliant center and in between were rows of amazing vendors, unique collectors, sneakerheads, and kids ready to trade kicks. 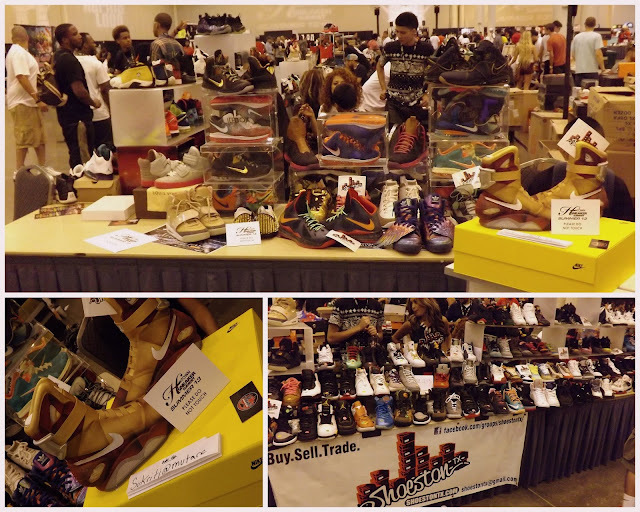 AND NO, it wasn't just Jordan’s everything from other Roshe admirers, Adidas, New Balance, Reebok, Asics not to mention customs. 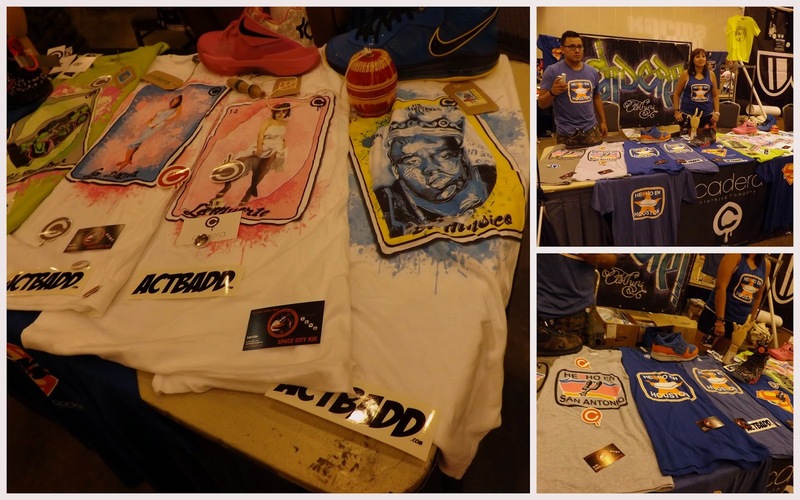 Nike basketball was also a huge trend, lots of Lebron, KD, Penny, Barkley and Kobe. Am I weird for being mostly excited to see Mr.Shoeston's booth again? Last time I saw the Nike Mags in person for the first time, this time around he had Mutare's Iron Mags on display... with Mutare sitting right there watching them like a hawk LOL. Cool kids, really cool kids. www.caderaclothingcompany.com, these guys are awesome! I'm still sad I couldn't chat with them maybe I'll email them for a quick Back-N-Forth for the blog. Kick Culture at its most modern, traders area. 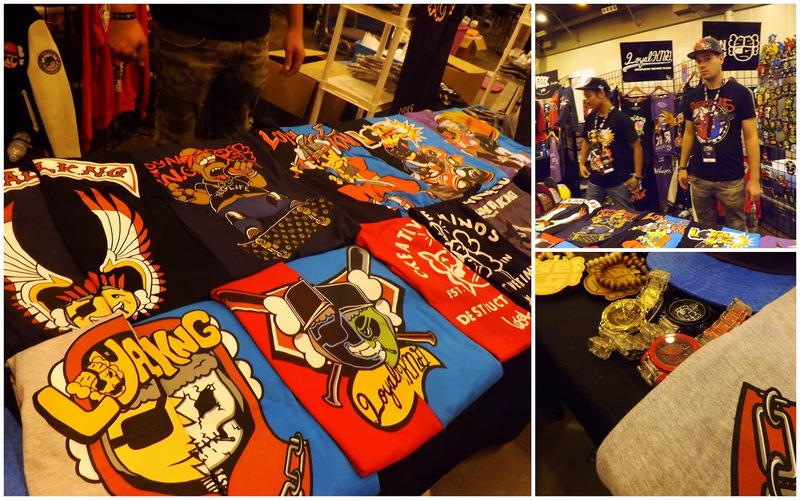 OKAY--- I'm obsessed with Royal K.N.G (K.N.G stands for Knowledge never goes) I copped a shirt from these dudes. Look for a post with a feature about them in the near future. They are way too cool. Oh H-Town, one: basketball players have huge feet. two: Verizon is awesome for having a charging station to charge the battery on your android phone that dies after like 2 hours of blogging. 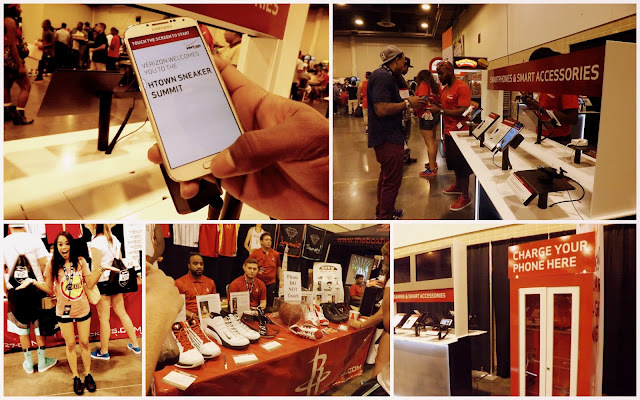 I was reppin my hardwood classic so it was cool to see a booth for the Houston Rockets. NOVEMBER 23 to be exact, will you be there? 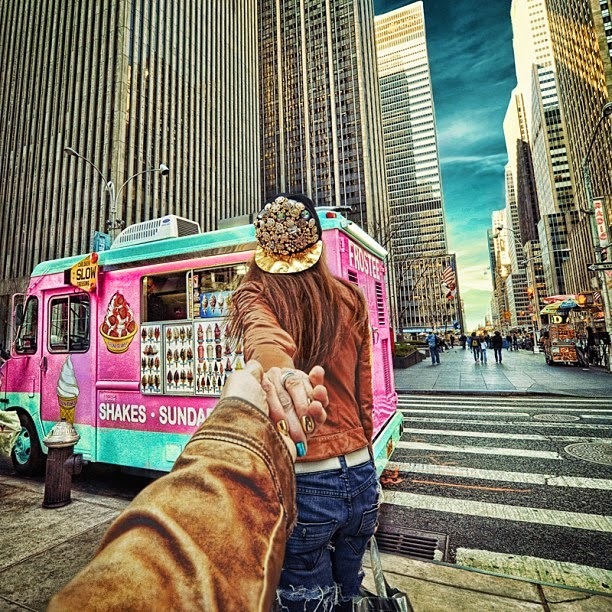 One of my favorite photo series has to be from Russian photographer Murad Osmann called "Follow me to." 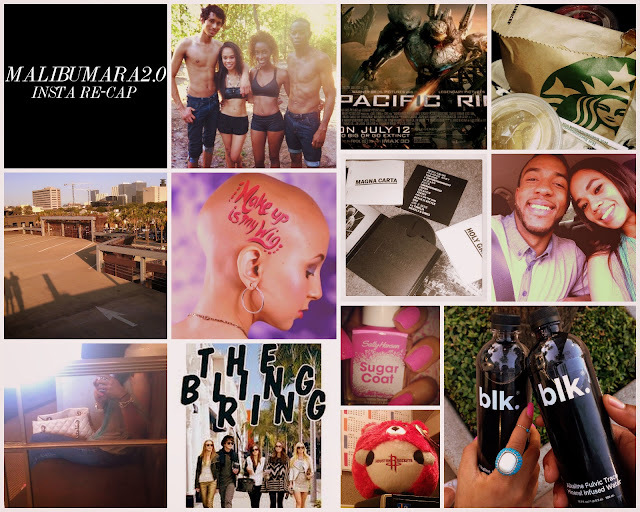 It's been circulating the internet for a bit, but I finally decided to blog about it. 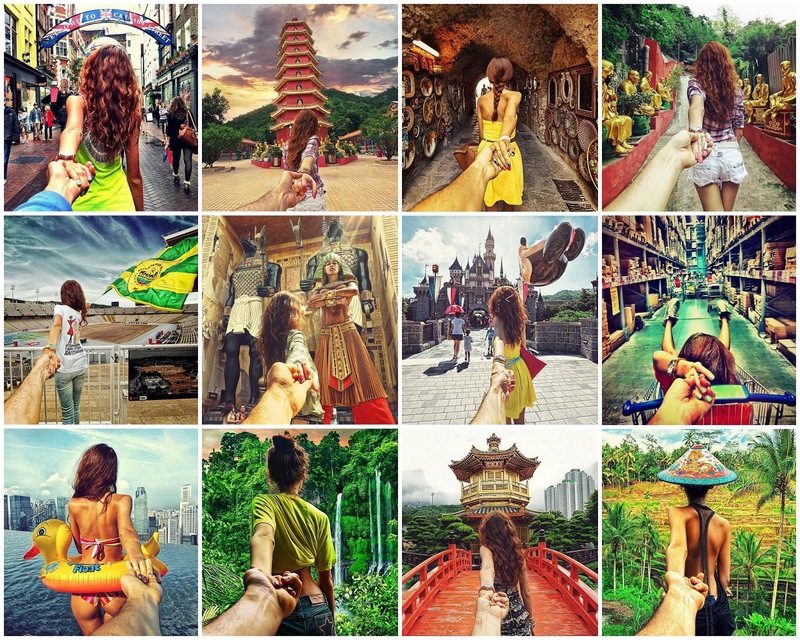 Basically, each photo is taken with his girlfriend around the world and in each image they are intertwined in some form or fashion. I LOVE IT. (Want to copycat this idea sooo bad. )THE COOL THING IS, It's still going. You can follow photographer @muradosmann on instagram and see where he his girlfriend will end up next. Its amazing. I love it. 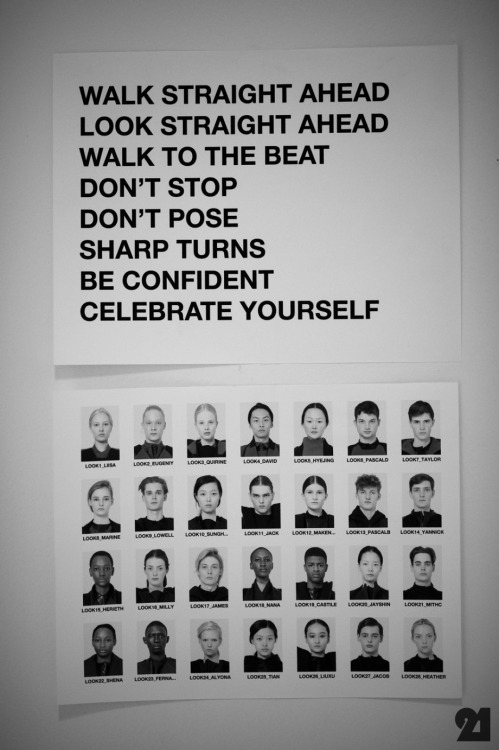 What a creative documentation of travel. With her back turned, she is inviting us to the these lush radiant environments around the world. I could only hope to travel as much in my lifetime. Whether New York, Moscow, Asia-- these photos are amazing souvenirs from such different lands. THIS IS NOT HELPING MY WANDERLUST. Does it make you want to travel? As the seasons prepare for a turn, the fashion world brings in the fall season with its newest addition, K. Nicole Couture. The innovative fashion line is the brainchild of designers Kera Anderson and Nicole Styer. The duo set out to create a line that offered a mixture of ready-to-wear and couture pieces, with its tasteful selections of Italian prints and other luxury textiles. Wrapping up the summer season, Anderson and Styer have a completed collection that they are ready to debut to the fashion circle. Styer is the owner of N.R.S. 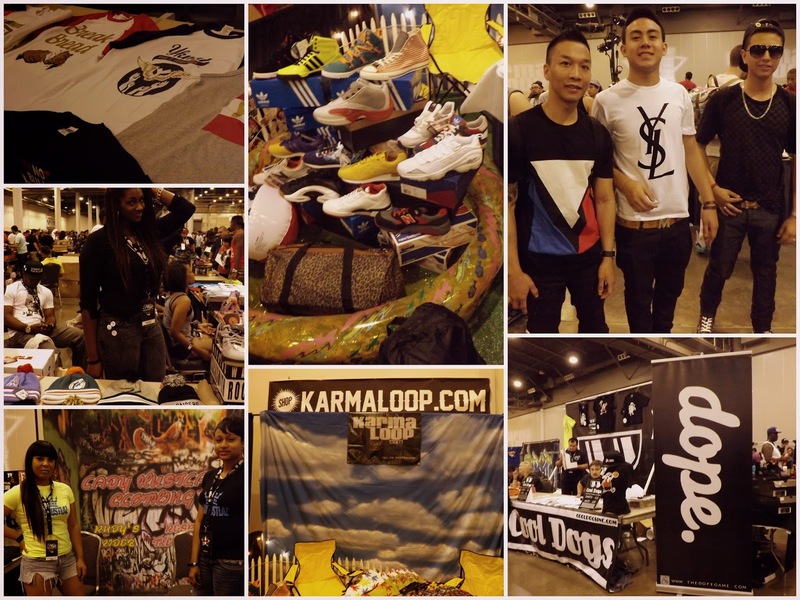 Boutique, a one-of-a-kind clothing and accessory stop located in the heart of South Philadelphia. Her boutique venture comes as a direct result of her artsy upbringing, which later was followed up by Styer pursuing a Bachelor of Fine Arts degree in Fibers and Crafts from the University of the Arts. Styer’s counterpart, Kera Anderson, developed a close relationship with Styer after frequenting N.R.S. Boutique, always requesting custom-made pieces that were for her own closet. But Anderson has a sort of fashion experience that is not shaped by design schooling but rather a gift she dubs as an “eye for fashion.” She has the ability to recognize plush textiles and envision them crafted as jackets or jumpsuits. Back like I never left? 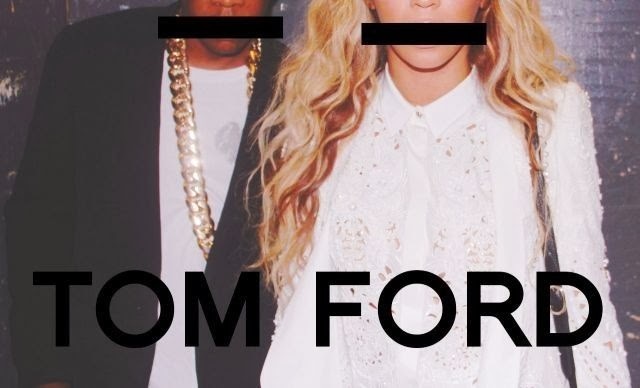 It seems like everyone is jamming Jay Z and name dropping Tom Ford.Can't lie, Tom Ford lipsticks are legendary but at $50 a pop, I'm going to have to leave those at the counter. In regards to menswear, I have always held Tom Ford as Golden. SPEAKING OF GOLDEN, I die at his thigh high heels. I need a pair. NEED! Let me drop a little Tom Ford knowledge on you guys really quick. Did you know he's a Fashion Designer AND a Film Director? 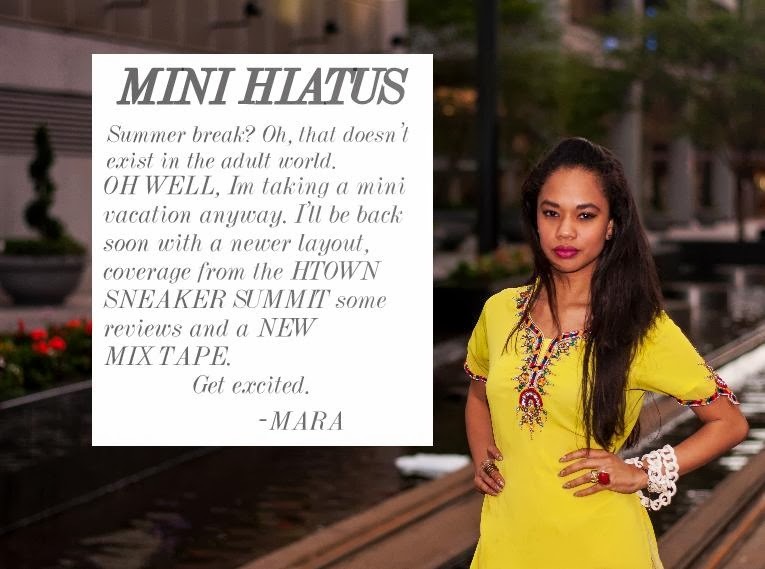 BE BACK SOON, Taking a little break. Well, it already started but I'm finally mentioning it LOL. Oh and a new layout/redesign. ALL PHOTOS ARE By http://www.kbcreativephotos.com/. On Y-3's 12-13 RTW Runway the walk was lined with rugs. I love a great textile so imagine the idea of translating the actual runway to the runway? As bit bit of a boho gypsy, I deem this a trending item.I like the idea in an accessory to add a cute worldly aspect to any look. It might be a little heavy for summer, but if you are thinking ahead for pre-fall, I say GO FOR IT! I'll take an elite runway model approach to July.